A Lake Friendly Accord and Stewards Alliance, and partnerships and initiatives between the Manitoba government and other jurisdictions will leverage more than $1 billion to better co-ordinate efforts to improve all waterways in the Lake Winnipeg basin with the majority of PLT Photo funding dedicated to reducing nutrient pollution from waste water, Conservation and Water Stewardship Minister Gord Mackintosh announced today. "The Lake Winnipeg basin reaches into nine jurisdictions and more than 50 per cent of nutrients polluting it come from outside the province," said Mackintosh. "Working together to solve the complex issues surrounding the health of Lake Winnipeg will ensure it is protected for future generations of Manitoba families and that water quality is improved for everyone in the basin along the way." The minister said a Lake Friendly Accord, first proposed in TomorrowNow - Manitoba's Green Plan, will seek to engage Manitobans, other governments and multi-jurisdiction agencies to reduce nutrient loading into Lake Winnipeg by 50 per cent, for which science-based research is already well underway. "The Lake Friendly Accord builds on the successful Lake Friendly program to engage all sectors of society in a common goal of improving water quality across the Lake Winnipeg basin," said Rick Gamble, chair of the South Basin Mayors and Reeves. "We are pleased to be working with the province on the Lake Friendly Accord which will inspire action, co-ordinate our efforts and promote leadership." A permanent Lake Friendly Stewards Alliance will guide Manitoba's development of the accord and facilitate information sharing, enhance collaboration and co-ordination, improve reporting and accountability and help prioritize science-based provincial action, Mackintosh said. The alliance will be made up of more than 40 key stakeholder organizations having a critical role in the health of Lake Winnipeg. This will include representation from governments, conservation districts, the agricultural sector, Aboriginal communities, business groups and environmental organizations. It will meet for the first time later this month. "Engaging stakeholders across the international Red River watershed is a key part of our collective work to improve water quality," said Lance Yohe, executive director of the Red River Basin Commission. "The commission is pleased to see the province of Manitoba taking a strong leadership role in this important "Lake Friendly" initiative that will benefit us throughout the Red River watershed." The minister also noted that upgrades to Winnipeg's south end waste-water treatment plant have begun with the award of the design contract. An Environment Act licence issued by the province requires the completion of the south end plant and direction issued under the Save Lake Winnipeg Act requires upgrades to Winnipeg's north end waste-water treatment plant. The Manitoba government has committed to fund one-third of the cost of the upgrades to Winnipeg sewage treatment plants, estimated at $235 million, which will be the biggest single effort to save Lake Winnipeg and will reduce nutrient loading to Lake Winnipeg by seven per cent in the province, the minister said. He noted Budget 2013 brings the province's contribution to city sewage treatment to $50 million so far with the completion of the city's west end plant. $4 million to help advance critical sewage treatment projects and partner with Manitoba communities to initiate the engineering, design and environmental reviews that will allow them to move forward with funding applications through the federal Building Canada Fund. 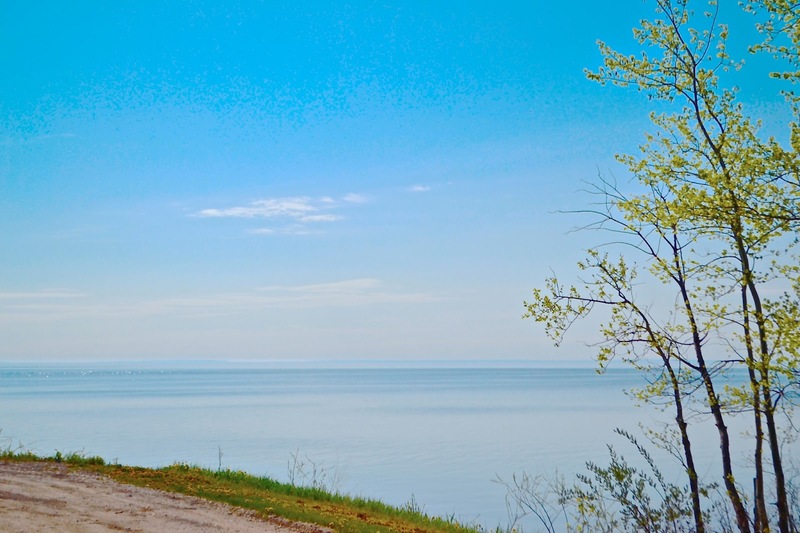 This work is expected to leverage more than $100 million for sewage treatment upgrades in 16 communities in the Lake Winnipeg Watershed, notably the Red River communities of Selkirk, St. Andrews, Winnipeg Beach, Dunnottar and West St. Paul. "This investment moves us forward on projects that will help protect our lakes and rivers, and reduce the amount of nutrients entering our waterways, which is critical to saving Lake Winnipeg," Lemieux said. Mackintosh said other provincial investments of more than $300 million for protecting Lake Winnipeg over the next five years will include new sewer treatment upgrades in provincial parks in the basin, more investments for monitoring water quality and aquatic in Lake Winnipeg and its basin including fisheries and operational funding for the Namao, which is the Lake Winnipeg Research Consortium's vessel. Mackintosh also noted today's announcement takes place during Environment Week, held annually during the first week of June. This year, the United Nations designated the year 2013 as the International Year of Water Cooperation. But I think, it is Too Little and Too Late. With a bit more detail,this announcement is a copy of what Premier Selinger announced 2 years ago as a result of Dr. Peter Leavitt's, 5 year study on Lake Winnipeg. Now the province is hopeful that an accord can be signed by 2020. Why is the goal of pollution reduction based at 50%, and 50% of what basis.? I ask ? The Lake Winnipeg Stewardship Board accomplished a pollution study several years ago, however I am of an opinion that during that time and now, the pollution factors,and base line nutrient load for a basis have increased. is still waiting for resolutions and needed action. The solution to the pollution of Lake Winnipeg lies in "dedicated prevention", and that is what has to be accomplished and initiated immediately, if the Lake is to survive. If my memory serves me right, I remember at the beginning of the last Election Premier Selinger promising that the pollution of Lake Winnipeg will be corrected. Perhaps we have to wait for another Election promise since nothing but sweet nothing has been done.It is much like the Ashton promise !